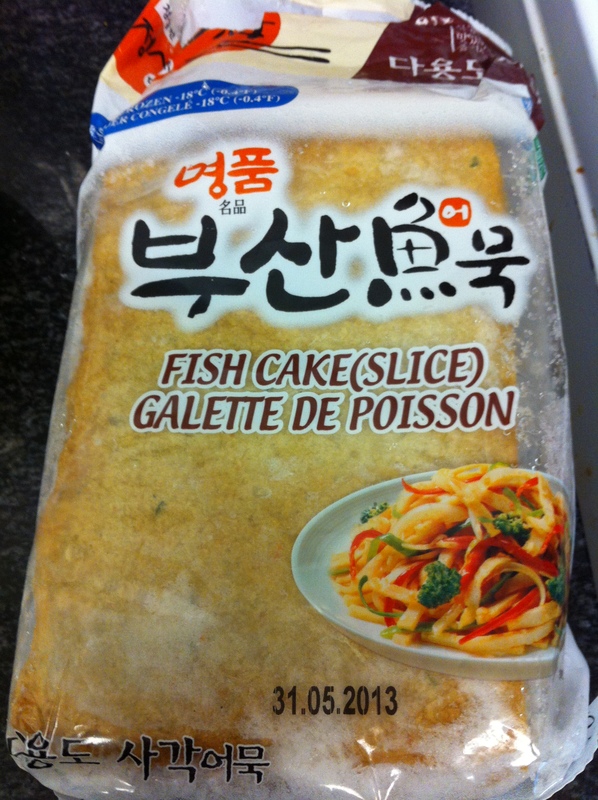 As I mentioned in my earlier blogs, I love ttuck (떡, rice cakes)! Ttuckbokki is one of my favorite ttuck dishes as long as I can remember and is probably loved by every Korean (maybe except for my husband who unfortunately doesn’t like spicy foods). 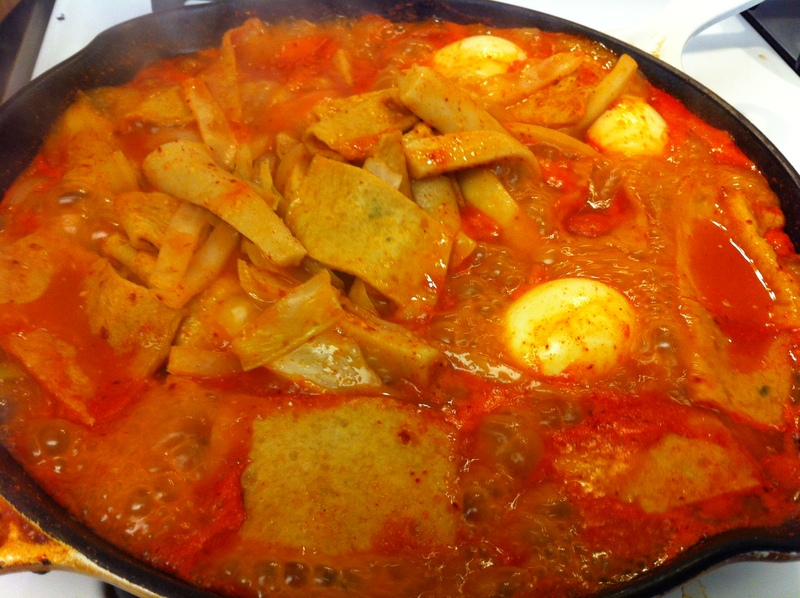 Ever since I started elementary school to the day I left Seoul to attend college in the US, ttuckbokki was my favorite afterschool snack whether homemade, from a street vendor or a restaurant. Recently, I ate a huge platter of ttuckbokki and soondae (순대, Korean blood sausage) by myself at my favorite ttuckbokki stand in my old neighborhood during my visit to Seoul last November. I have to admit though, it was slightly embarrassing when I realized I had inhaled everything. 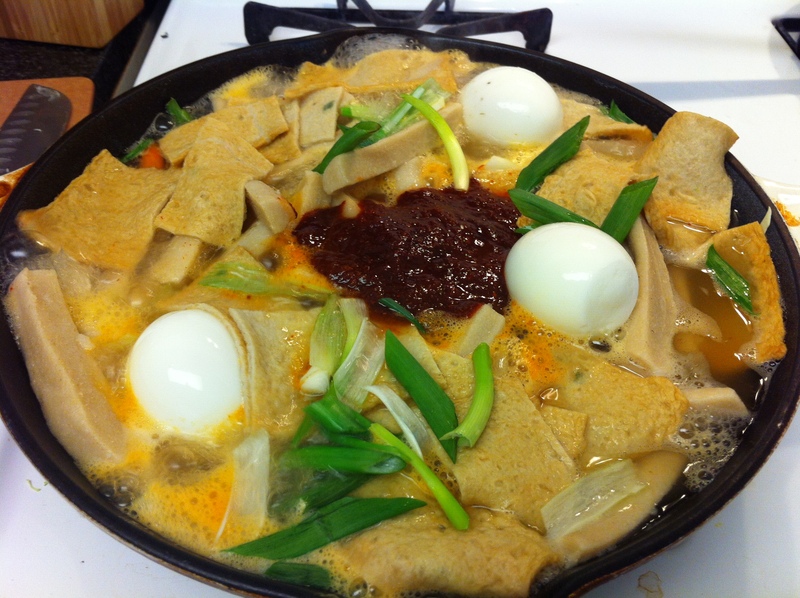 Today, I will introduce to you a simple version ttuckbokki I make at home. Mix all the marinade ingredients and set it aside. 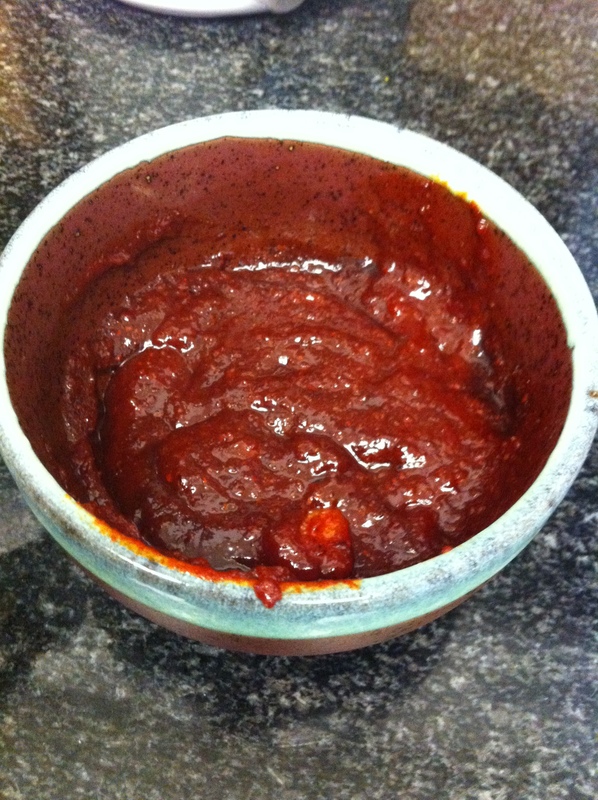 Setting it aside helps the sauce favors to bind. If you have kept the ttuck (떡, rice cake) in the freezer let it soak in room temperature water for about 20 minutes to defrost. 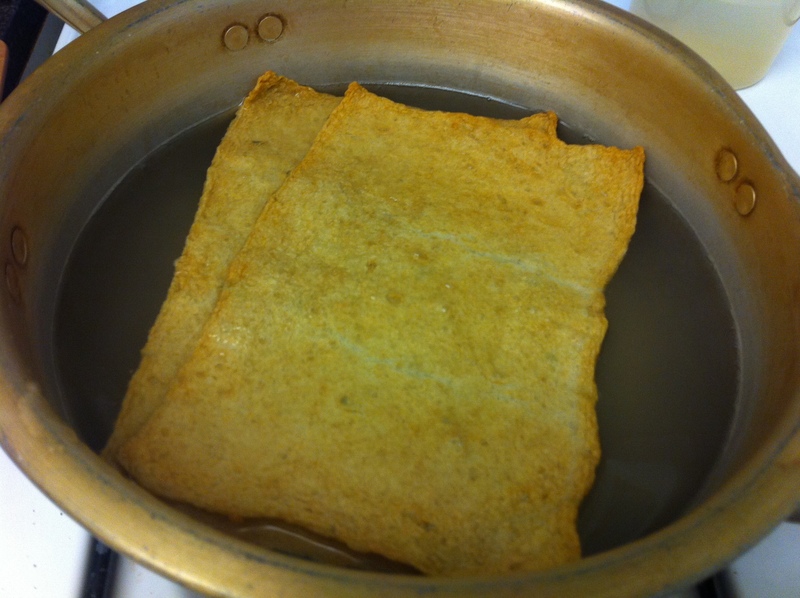 You can boil the ttuck for about 3 minutes in boiling water if you stored them in the refrigerator or after soaking the frozen ttuck to soften them although this step is not always necessary. I used hyunmi or brown rice ttuck. 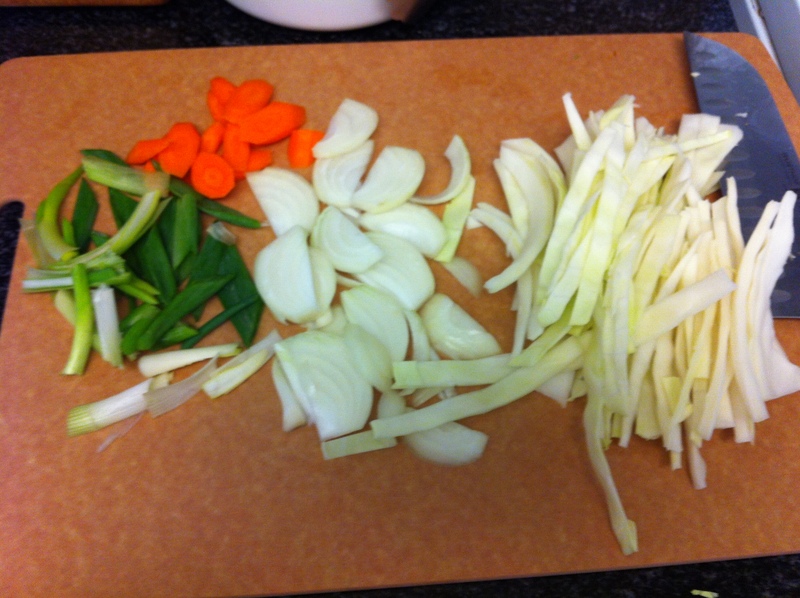 It was the thick kind, so I had to quarter them lengthwise and cut it across to make them smaller. 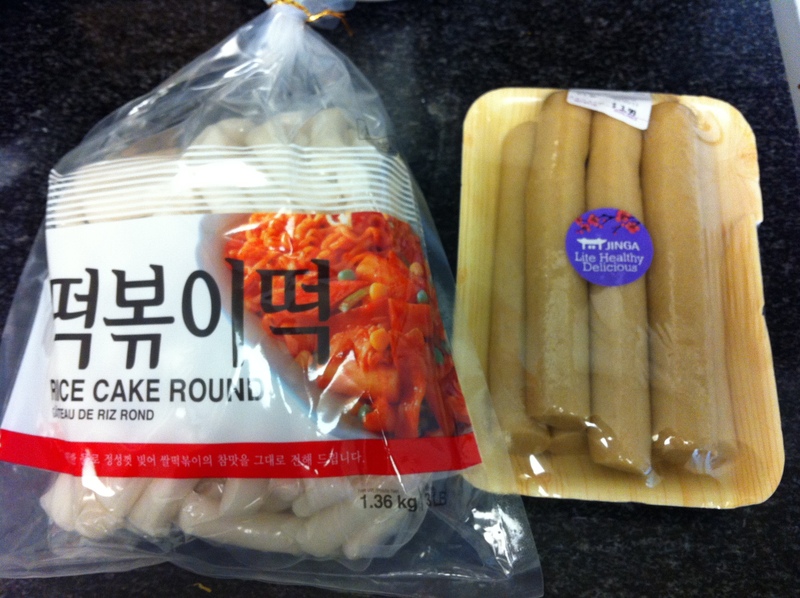 You can simply buy ttuck that is made specifically for ttuckbokki in the refrigerated section in a Korean grocery as the picture above. 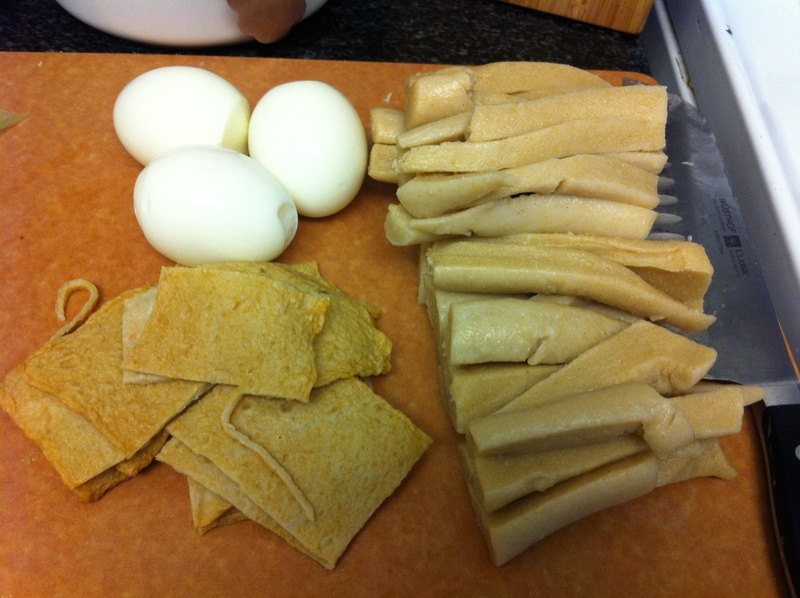 Odeng is much like the Japanese oden. For ttuckbokki I like the flat sheet-like kind that is found in the refrigerated or freezer section of the Korean grocery. I like to boil it once for a minute or two in hot water to take out the excess oil. This stage is optional. 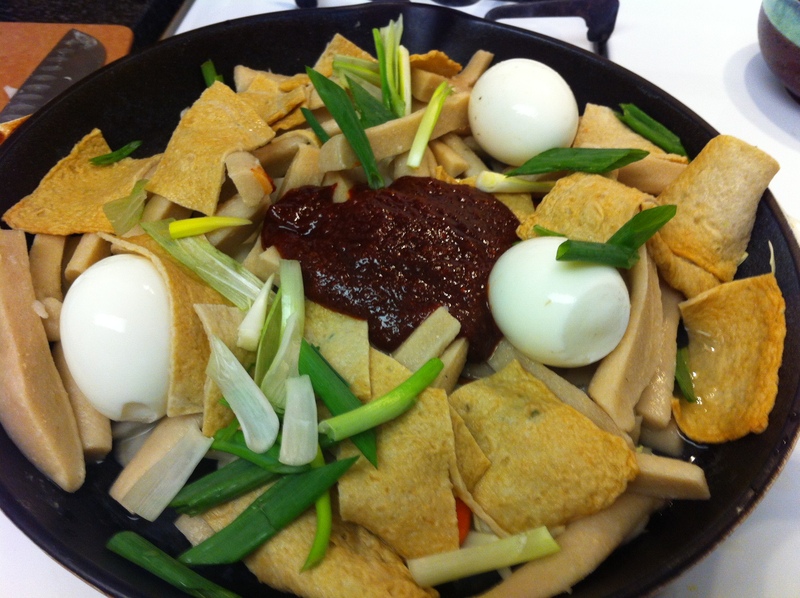 Spred the ttuck, odeng (오뎅, fish cakes), vegetables and eggs in the skillet. I like to add kketyip (깻잎, perilla leaves) for flavor but I didn’t have any today. Another great addition is ramyun or ramen noodles in ttuckbokki by simply adding uncooked ramyun noodles with the rest of the ingredients. Pour about 4 cups of water or myulchi broth. Even better is to use odeng-guk broth as a soup base but I will introduce how to make this at another post. 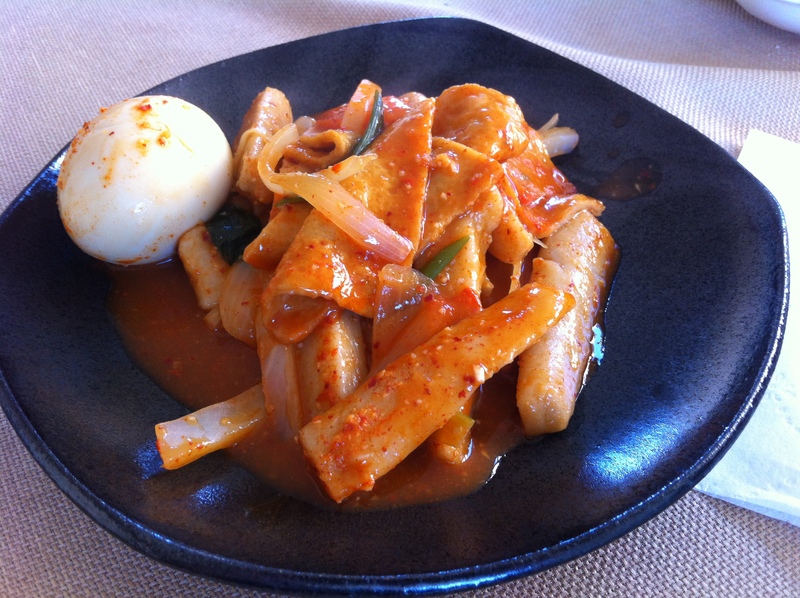 This entry was posted in Good for dinner, Good for lunch, Main Dish and tagged Cabbage, Rice Cakes, Ttuck by gangnamkitchen. Bookmark the permalink.